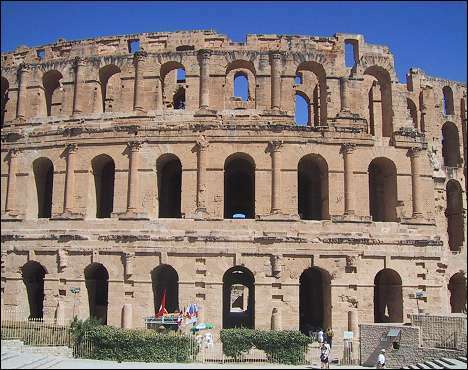 The colosseum is great, almost as big as the one of Rome, and in better condition. It is 148 metres long by 122 metres wide, with tiers up to 35 metres.This 3rd-century monument illustrates the grandeur and extent of Imperial Rome. It's believed to have given room for as much as 30,000 spectators, some estimates set it at 45,000. This in the town of Thysdrus with only 30,000 inhabitants.